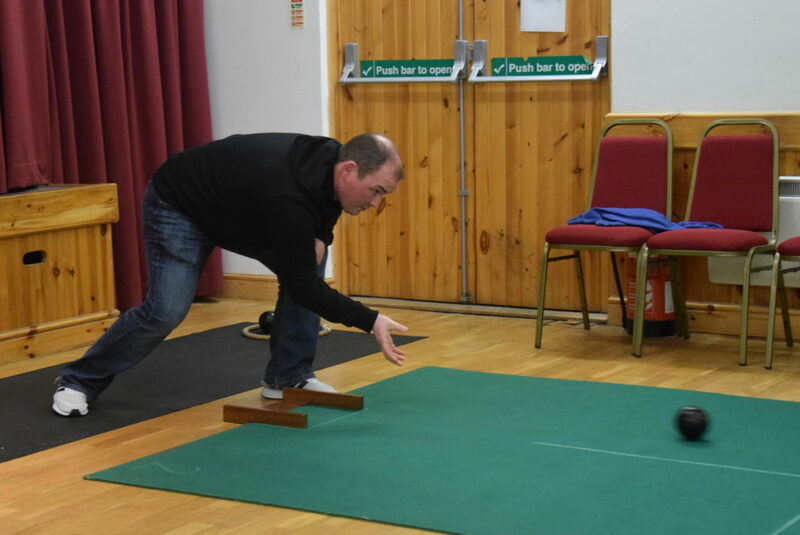 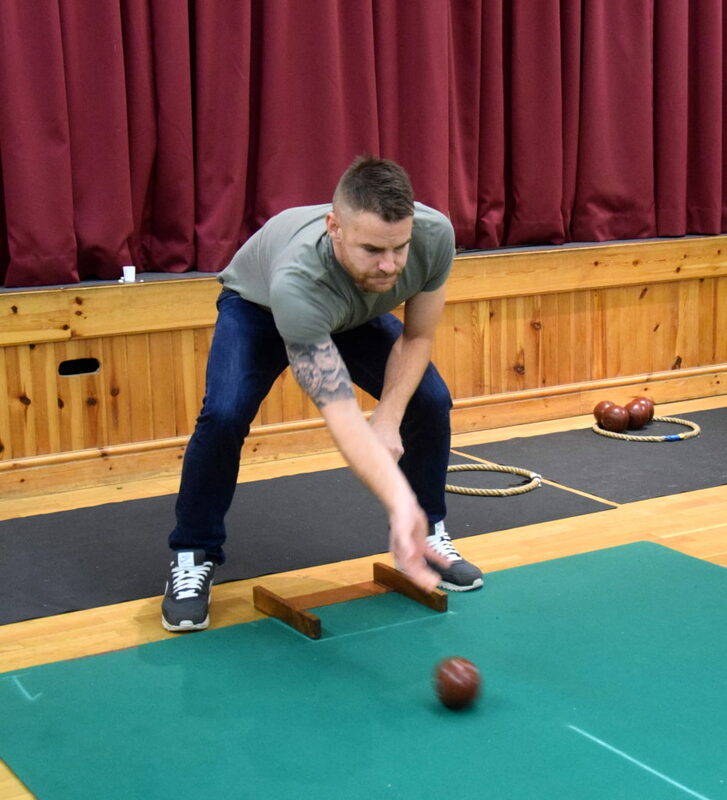 It was a family affair for the second year in row at Tayinloan Village Hall’s annual indoor bowls tournament. 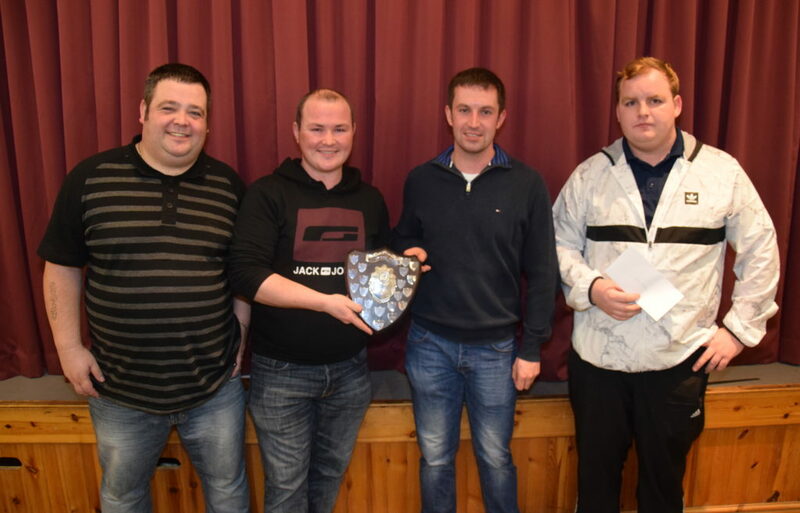 Largiesiders and cousins Stuart Currie and John McCallum secured the winners’ shield, which was won by father and son pair Andrew Ronald Sr and Andrew Ronald Jr last year. 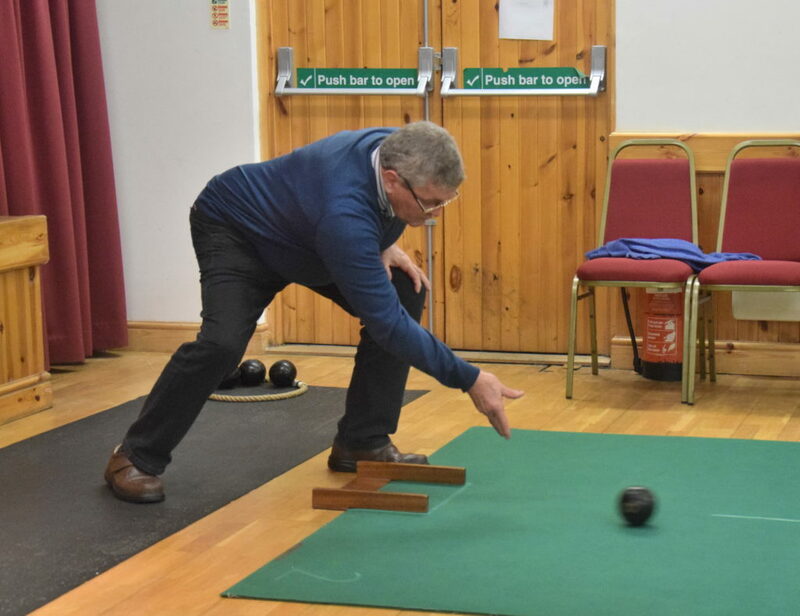 Twenty pairs from the length and breadth of Kintyre competed in the competition which ran from Wednesday January 9 to Friday January 11. 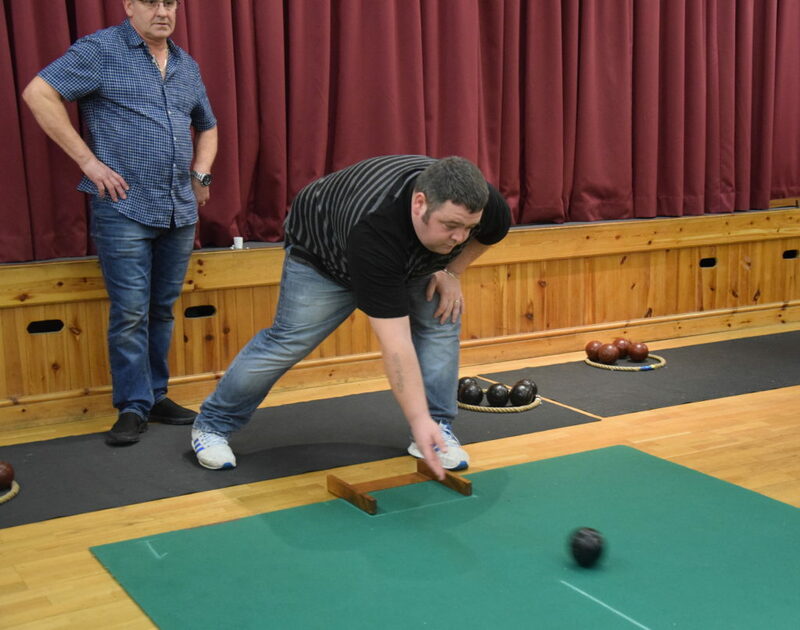 Andrew Sr and Jr met Stuart and John in the semi-final, while husband and wife team Stuart and Pat McMillan played Gavin McLachlan and his step-father Robert Todd. 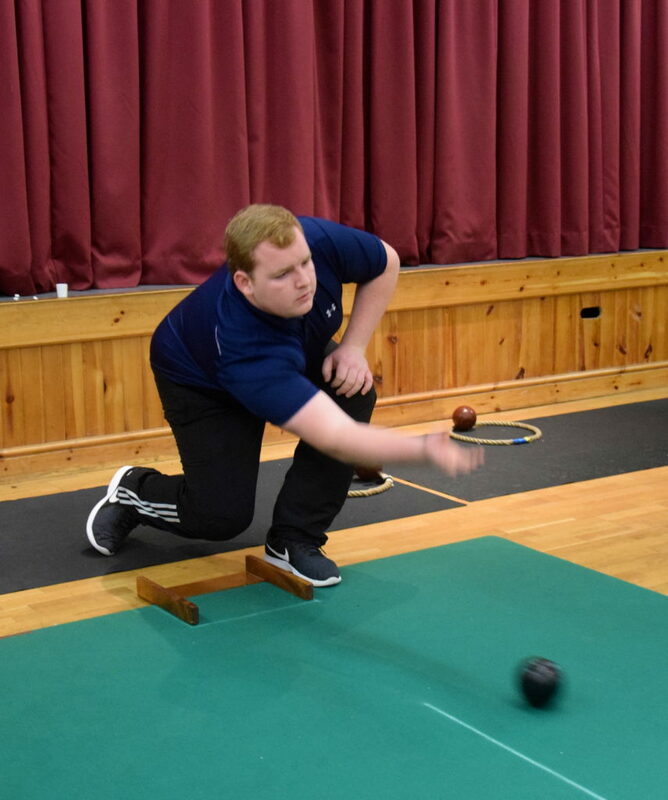 Gavin and Robert overcame Stuart and Pat, securing their place in the final. 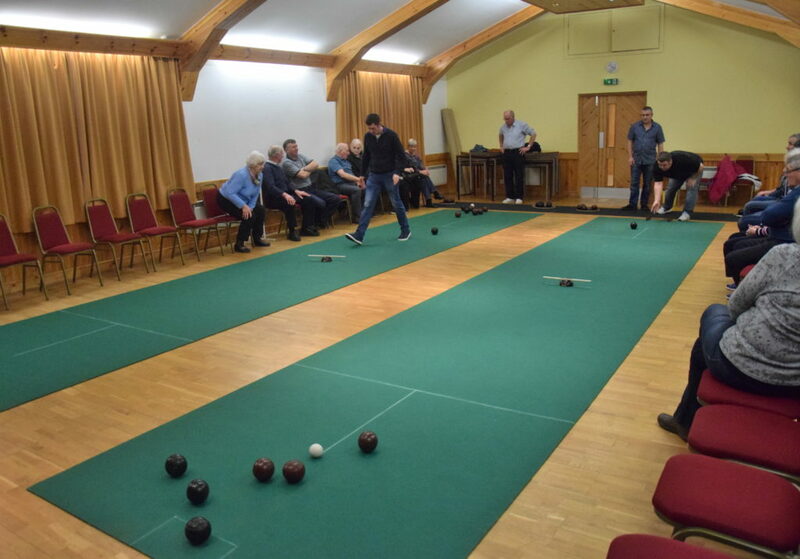 It was a closely fought affair for which the hall, which was lined either side with spectators, fell silent. 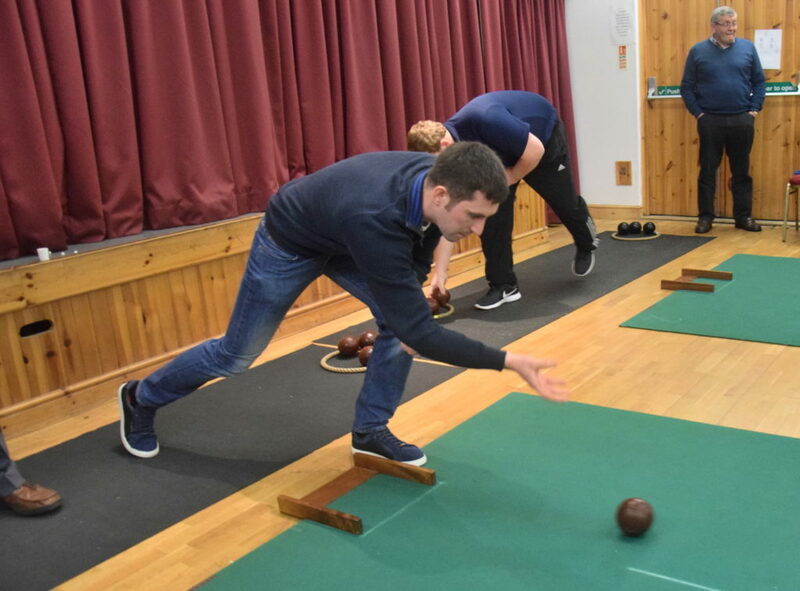 The Largiesiders took the lead but Gavin and Robert closed the gap, making it a tense final couple of ends. 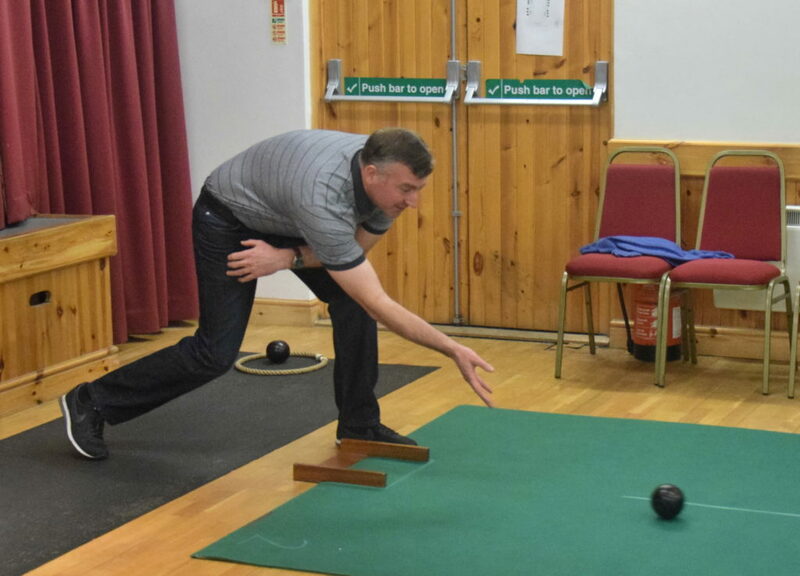 Stuart and John took the shield, which is inscribed with the competition’s winners as far back as 1981. 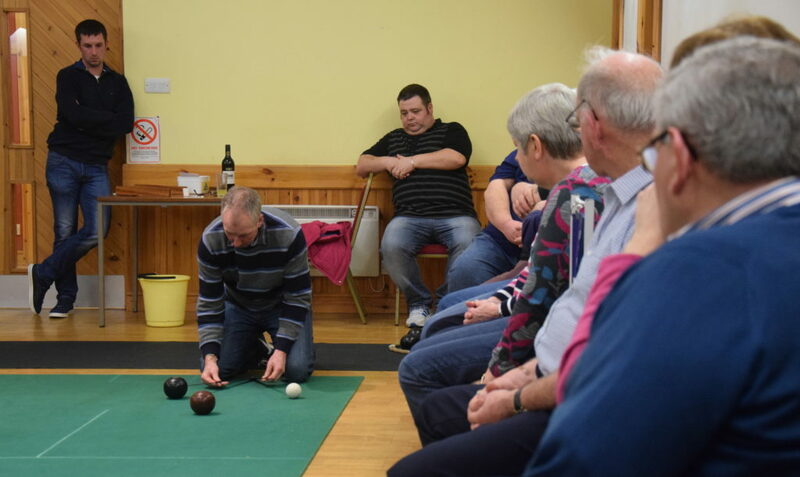 Hall treasurer Kate McKinlay presented the prizes and thanked everyone involved, including Stuart who helped organise the competition, and the hall committee members who provided and served tea each night.